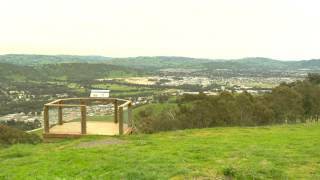 Parklands Albury Wodonga - who we are and what we do, in a nutshell! This SBS Documentary by Sylvia Varnham O'Regan includes interviews with Parklands Albury Wodonga's Market Garden Rangers, Tilak Chhetri and Rohit Khulal. Community Farmer Ranger Tilak Chhetri interviews new participants who have come to Australia from Congo, on their experience of joining the Community Gardens on Gateway Island. An interview with a community gardener who came to our part of Australia from Nepal as a refugee, and enjoys gardening at the multicultural Community Farm on Gateway Island. 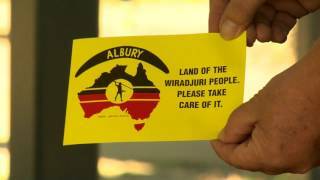 Wiradjuri Elder Rose Whybrow came to Albury almost 30 years ago as a child. In March 2017 Rose interviewed her mother Edna Cameron about the family's journey and what is important to them. This is their story. Albury Conservation Company co-ordinator Sam Niedra is passionate about the threatened species that call Thurgoona home. We interviewed Sam on one of his favourite local sites; Bell's Travelling Stock Reserve. In her time living in the area, Landcare Coordinator Judy Kirk was key to the formation of a Friends group supporting the Woomargama National Park. 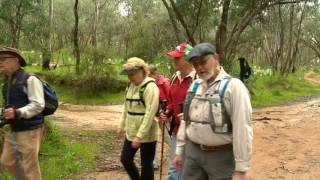 The group has since helped to bring back the population of the rare Acacia Phasmoides and created a memorial loop walk off the Hume and Hovell Track. This is their story. 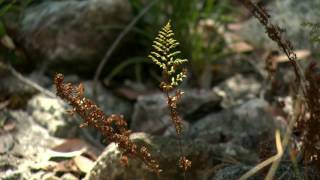 Dave Pearce has managed the Woomaragama National Park since it was first gazetted in 2001. 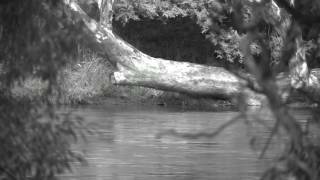 Dave talks about the history of the park, the ecological features, management issues and how he works with the community to improve the environment. Albury's Doctors Point is uniquely located at the end of Eastern Hill in the embrace of the Murray River as it sweeps around from Mungabareena to Gateway island. We interviewed Ann McAuley about the McAuley family's experiences of Doctors Point over the thirty-odd years they have lived there. This is her story. Jan and Neville Lubke have a long family history in this area. 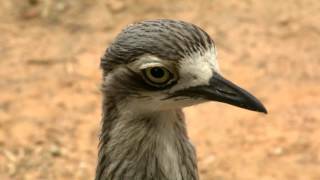 Some years ago developed a passion for restoring the habitat and population of the endangered Bush Stone Curlew, and pioneered a remarkable Bush Stone Curlew breeding program to make that vision a reality. This is their story. Allan Scammell was a Ranger with the Pastures Protection Board for 33 years, with one of his tasks being the management of the travelling stock reserves in NSW. 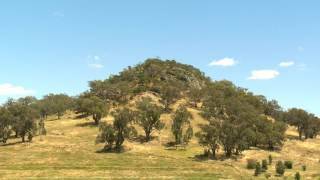 Allan managed the Ten Chain and Bell's reserves - through which the Hume and Hovell Track passes - and has stories of drovers and droving from past times. Heather Roberston and Pam Francis were friends amongst the many children whose families lived in the Returned Soldiers camp near the Waterworks after the second world war. In this story Heather and Pam recall life in the camp from a child's perspective. 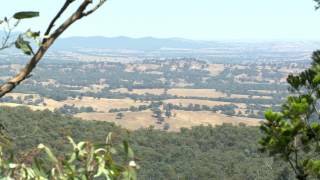 As the Operations Service Coordinator for the NSW Rural Fire Service in the region, Inspector Marg Wehner has a wealth of knowledge about fire in this landscape. 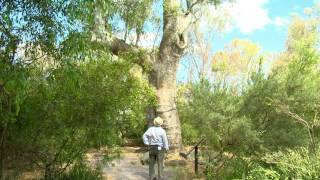 Cloning Eucalypt species is no easy task. 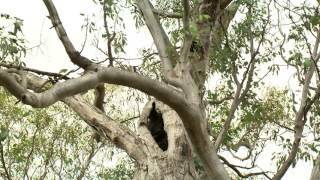 Albury arborist Leah Warburton takes us on the journey of cloning the Hovell tree. The Queanbeyan Age newspaper published an extensive obituary on the death of Hamilton Hume in 1873. This story is taken from that article, and gives a glimpse of Hume the man. Reaching the Hume River on 16 November 1824, both Hume and Hovell carved their names on tree trunks near the northern bank of the river. 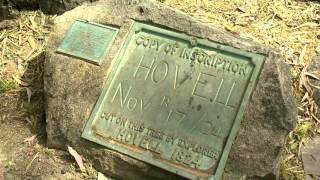 Hume’s tree was later destroyed, but Captain Hovell’s tree remains to this day. 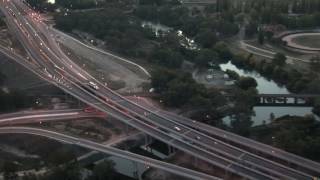 Post Office Road, Sydney Road, the Great Southern Road, the Hume Highway, the Hume Freeway; the road linking Sydney and Melbourne was originally formed by the early overlanders in 1836. Bowna village grew on the Mullegandra creek where it joined the Twelve Mile creek. The entire village was drowned by the rising waters of the Hume Weir in 1934. The monument to Hamilton Hume - now located in the Albury Botanic Gardens – was first built on the banks of the Murray River. 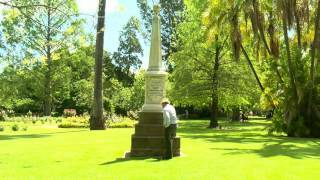 The story of raising, and subsequently relocating, the monument is entwined with the early days of Albury’s first newspaper, the Border Post. 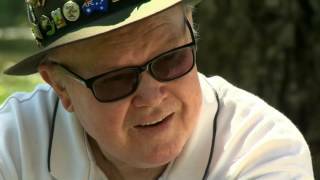 Ron McLachlan's family lived for several years in the RSL camp opposite the Albury Airport when his father returned from WWII. Later, they moved to Hume Dam workers camp for the installation of the Hydro-electric system under the dam wall. 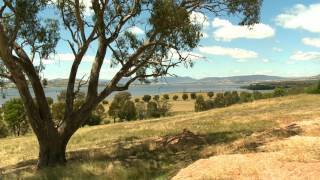 Ron recollects his adventures as a boy around the Waterworks and what is now the Lake Hume Village. 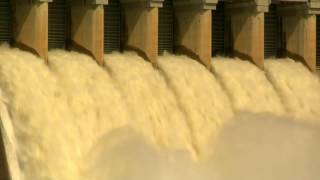 Work started on the Hume Dam in 1919 just as the Burrinjuck and Eildon dams were being finished. The original works were completed in 1936. Further work to raise the level and install hydro-electrical works took place between 1950 and 1961, including the addition of 29 spillway gates. This story is compiled from the works of celebrated local historians Howard Jones and Merrick Webb (dec.). Alice Rouse is the last of the Mitchell family still living on Mitchell land in Table Top. This is Alice's story. 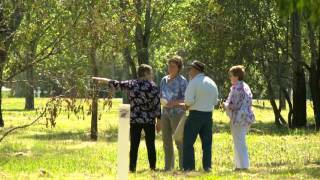 Jan and Annelies Willink purchased a bare farm block on the edge of the Hume Weir in the 1970’s, and began their work of bringing back the trees. 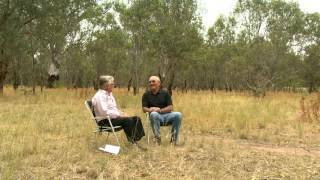 Joe Esler's story of the family farm on Budginigi. With it's bountiful natural landscape, the Albury area is naturally rich in cultural heritage. 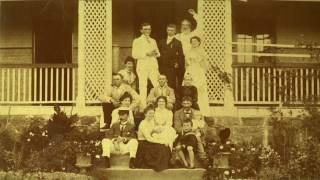 This is a story of Wiradjuri heritage from the Cameron family. 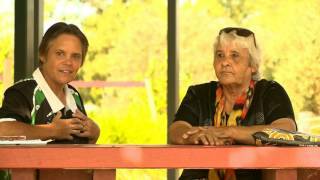 An interview with Wiradjuri elder Nancy Rooke and her granddaughter Leonie McIntosh at Mungabareena Reserve. 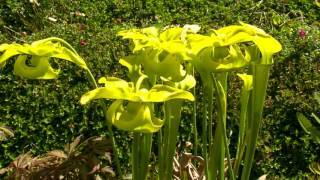 Hear Joe Reuss talking about his childhood and the family farm on Gateway Island. 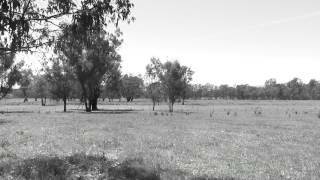 Travel along the Murray-Darling to meet the people whose lives depend on the system. 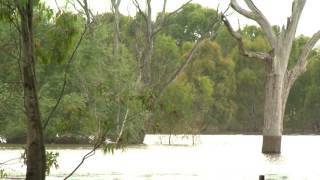 The ABC recently launched a virtual journey along the Murray-Darling on it's news website. 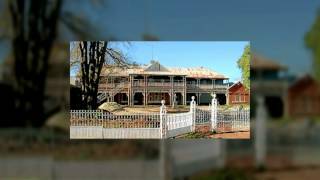 This video on volunteering with Parklands Albury Wodonga was produced by Wodonga TAFE’s REAL Options (Return to Education and Learning) students during 2014.